Slight resinous matter (rust) and slight amounts of dry mould on wrappers, bale surfaces and interior sheets, found at time of delivery will not be objected to. Should “rust” or “dry mould” in an appreciable extend appear on more than 30% of the bales sampled, it shall constitute grounds for objection. Large bark particle, bubbles and small blisters, stains, over–smoked, slightly sticky rubber and blemishes of the amount and size shown in the sample are permissible. Slightly under dried rubber is permissible. Weak, heat, burnt, oxidized spots or streaks are not permissible. 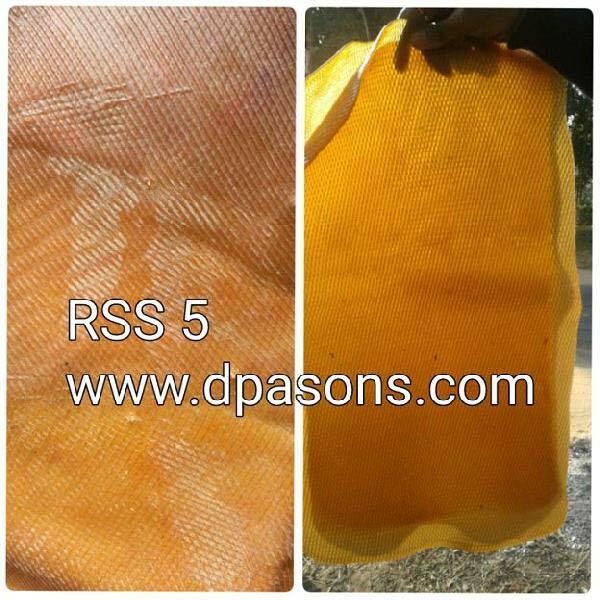 The rubber must be dry, firm, and free of blemishes except to the extent shown in the samples. Dirty packing, sand and all other foreign matter other than specified above is not permissible.